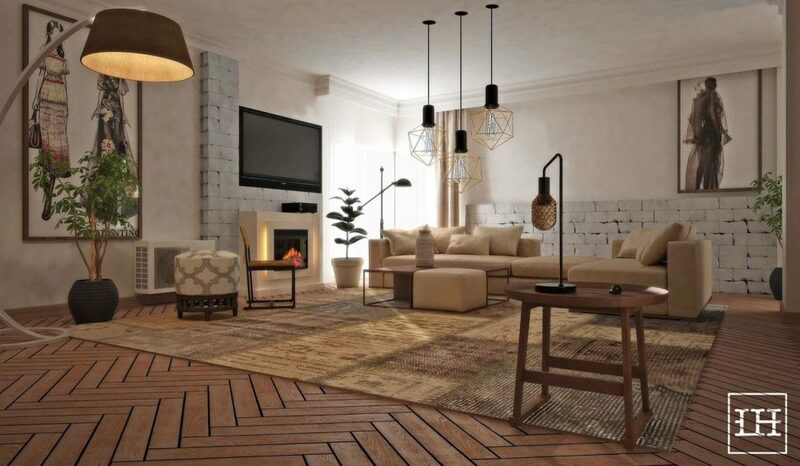 Moodfit, a Beirut-based interior design startup has raised ~$400,000 as seed investment in a round led by Seeders Angel Group and joined by IM Capital, Middle East Venture Partners, and iSME Capital. Founded in 2016 by Mohamad Sabouneh, Ghassan Abi Fadel & Tarek Jaroudi, Moodfit makes it super-easy for people to design and decorate their homes with the help of curated professional interior designers. Through Moodfit’s platform and design tools, clients get to choose the designer who would submit a design that fits their style and furniture budget. Once the design is finalized, Moodfit then saves its clients the hassle of shopping by coordinating the delivery of furniture and decoration from the local suppliers to the clients’ place. The platform allows users to choose a designer who will submit a design that fits their style and furniture budget. The service costs $300 per room furnishing and decoration which includes up to three customized design boards, 2D floor plan layout, up to three weeks of interaction with the designer, decoration and furniture recommendations (within customer’s budget) and coordination of all furniture purchases which is perhaps the best part of the whole thing. The startup currently offers its services in Beirut and Dubai. Mohamad Sabouneh, Moodfit’s co-founder and Managing Partner told MENAbytes that the funds will be used for marketing, hiring more talent, and product development. “This round will allow us to further grow in Lebanon and begin scaling across the GCC starting with the UAE. The interior design and furniture industry in the MENA region is estimated at $20B+ and it is yet to be disrupted by technology,” said Mohamad. “Moodfit aims to take this industry online and democratize interior design by changing it from a complex and expensive task to a convenient, enjoyable and affordable online service. We have a very exciting product roadmap ahead of us which includes integrating AR/VR, machine learning and other cool features into our platform that solve key pain points and will allow us to further streamline our operations,” he added. We tried to play a little with the onboarding process and it was pretty smooth. First of all, you choose the type of area/room you want to decorate and the platform will have you go through a selection of pictures for that particular type. You get to select Yes or No on every picture to explain whether you like it or not. It then intelligently recommends a design style on the basis of pictures you liked (or disliked) and suggests you some interior designers. You could browse through their profiles to see their portfolios and select your favorite designer and answer few more questions about the colors you like and your budget before you finally pay and initiate the project. Last year an Amman-based home design startup Darpedia had also raised $200,000 as seed investment.